Among the many top-notch comedians winging their way to Galway for next month’s Vodafone Comedy Carnival is Dave Johns, a seasoned veteran of the British and international circuit and, more recently, acclaimed star of Ken Loach’s I, Daniel Blake. Dave initially worked as a bricklayer when he left school and later got a theatre job working backstage. It was in 1989 that he took his first steps in the world of comedy. “I visited London and went to the Comedy Store where I saw modern stand-ups for the first time,” he recalls. “In the northeast it was all working men’s clubs but the Comedy Store had a new type of comedy and it was like a light bulb went on for me when I saw it. At the time I was working in the Tyne Theatre and Opera House. They had a little restaurant that wasn’t doing much so I asked them could I open a comedy club there and they said ‘Yeah, but we’re not paying you any money’ and I said I’d sort out all the acts. Johns admits he had no inkling of the impact the film would have. “Because it was my first film I had no idea how much it would resonate with people. It’s got 28 awards worldwide including the Palme d’Or in Cannes," he says. "The first idea I had was at Cannes when they showed four press screenings on the Thursday before we had the premiere and people were talking about the reaction of the press, people were in tears and I thought ‘Oh this sounds like something different’ and then it had a momentum of its own. 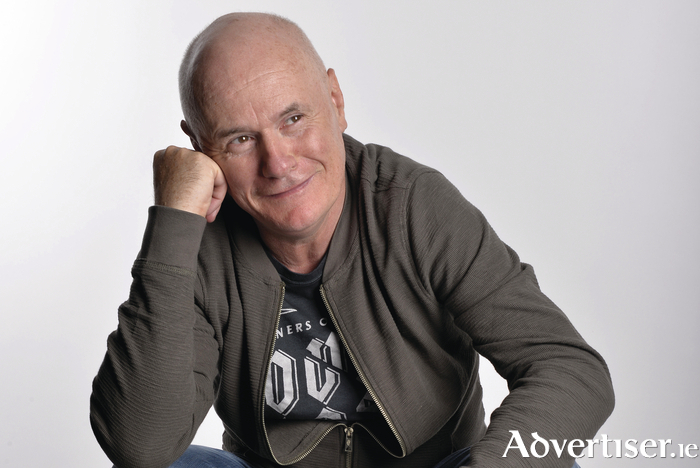 Dave Johns will feature at three events in the Vodafone Comedy Carnival. On Saturday October 28 at 4pm, he guests with the Stephen Frost Impro All Stars and, at 8pm that evening, he togs out again to join Tommy Tiernan, Foil Arms and Hog, Paul Currie, and Andrew Maxwell. On Sunday October 29 he shares the bill with Kevin Bridges, Rich Hall, Lords of Strut ,and Steve Bennett.